The UK Government has urged energy companies to open offices in Aberdeen in a video promoting the City Region Deal. The project is a £250 million joint deal from the Holyrood and Westminster governments, Aberdeen and Aberdeenshire Councils, and the private sector. Now the prime minister’s office has released a short video about the jobs and opportunities expected to come to the north-east as part of the deal. 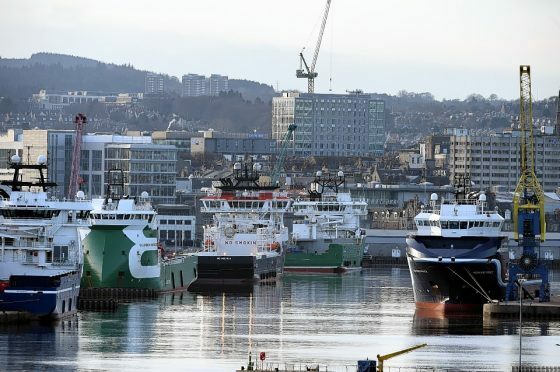 Oil and Gas Technology Centre (OGTC) chief executive Colette Cohen appears and urges energy companies to base themselves in Aberdeen to benefit from the deal. She said: “The OGTC was created as part of the Aberdeen City Region Deal, so really it wouldn’t even exist if that City Deal hadn’t been awarded. The video also features council leaders alongside Aberdeen Harbour Board chief executive Michelle Handforth, setting out plans for 3,000 passenger cruise liners to visit the Granite City, as well as Opportunity North East (One) deputy chief executive Maggie McGinlay, who hopes the deal would create a hub for life sciences.